20% Off Market Items on our Webstore! To celebrate Black Friday and Cyber Monday, please enjoy 20% off our entire webstore at 32MarketStore.com! Kiosks included! The sale will begin this Friday morning, November 27th, at 12:00 A.M. CST and ends Monday night, November 30th, at 11:59 P.M. CST. To receive the discount, enter the promo code below, at the time of checkout. Thank you for shopping & Happy Holidays! Excludes All Cradlepoints and Royalty Fees, additional exclusions may apply. Purchaser must enter code at time of checkout to receive discount. One time use only code, valid Friday, November 27th, 2015 at 12:00 AM CST through Monday, November 30th, 2015 at 11:59 PM CST. Only valid on purchases made in the Operator Retail Pricing Tier. No late orders will be accepted. Posted on November 25, 2015 Categories Holiday, Sales & PromotionsTags #32M, #BlackFriday, #BreakRoomRehab, #CyberMonday, 32Market, 32Market.comLeave a comment on 20% Off Market Items on our Webstore! On Thanksgiving, the point of focus is (or should be) gratitude. Gratitude is defined as “the quality or feeling of being grateful or thankful” and “readiness to show appreciation for and to return kindness”. Why should I practice the attitude of gratitude? Gratitude allows us to stop focusing on what our lives might be lacking, and instead focus on our abundance. By practicing gratitude, we can affirm that there is goodness in the world and acknowledge that much of that goodness comes from other people, and/or (depending on your beliefs) a higher power. Knowing this encourages us to appreciate, and to “pay it forward”. It all sounds wonderful, but what about for the natural pessimists? How can I be grateful for everything when I don’t always feel that way? It is true. Adopting the attitude is easier said than done for many people; which is why it’s known as a “practice”. Gratitude is a learned skill that you can improve with practice. There are countless books, studies and articles that teach you what steps to take in order to become a truly grateful person. One of my favorites is Learned Optimism by Martin E.P. Seligman. He discusses breaking unhealthy habits and changing them into positive ones. Another is The Gratitude Diaries by Janice Kaplan. This New York Times Bestseller brings you on a smart and entertaining journey to appreciating what you have. Search around and find one that works for you – you won’t regret it! And in no time, it will become easy. Thanksgiving is coming up quickly and I can almost taste the feast! Turkey, stuffing, pumpkin pie … Can’t forget the parades and football, too! The celebration is delightful, however, it’s important to take a step back and remember what this holiday is truly about – giving thanks! The Pilgrims sailed, on the Mayflower, from England, to escape religious persecution. They landed on Plymouth rock, over two months later, where they hardly survived their first year (half of them dying from the harsh winter and disease). Then, Squanto and the Wampanoag people taught them how to hunt, fish, plant crops, and survive in the area – allowing the Pilgrims to succeed with a bountiful harvest. They celebrated the first Thanksgiving in 1621 to give thanks for their harvest. Although this version of the story is most commonly taught in schools, there are controversies about where the first Thanksgiving actually originated. “In 1565, Spanish explorer Pedro Menéndez de Avilé invited members of the Timucua tribe to dinner in St. Augustine, Florida, after a mass to thank God for his crew’s safe arrival. On December 4, 1619, when 38 British settlers reached Berkeley Hundred on the banks of Virginia’s James River, they read a proclamation to designate the date as ‘a day of thanksgiving to Almighty God’.” Some Native Americans believe that the story taught in schools portraits a false, friendly relationship between the Pilgrims and the Wampanoag people. There has been a long and bloody history of conflict between Native Americans and European settlers, resulting in millions of deaths. Thanksgiving, rather than a celebration, thus has become a commemoration and a “National Day of Mourning” for many people … And the list of stories continues. Whatever you may believe, one thing is certain: being thankful is good for the soul. Maybe you are thankful for Squanto helping the Pilgrims, for the safety of your crew, for your God, or for those people who fought for your survival through the hardships endured by the Native American people … Maybe you’re thankful for loved ones, shelter, warm food, or laughter … Maybe you’re thankful for people who are willing to help, smile, share, or give … Take a moment during this holiday to think about what you’re thankful for and appreciate it. At Three Square Market, we are thankful for our leaders, who established an impressive company that we are lucky to work for … for our employees, who dedicate their creativity and time to sustaining and improving a remarkable business … and, most importantly, to our customers, who inspire us to continuously grow and who make this all possible. Thank you. an even faster transaction – lightning quick! How can I get V2 in my market(s)? Don’t worry about a thing – Your system will update automatically over the next few weeks, without any effort required! Please email us any questions, comments, or concerns at Contact@32Market.com and our expert staff will quickly answer you. What else can I do to improve my market(s)? Contact MarniV@32Market.com to receive invites to our Wednesday Weekly Webinars. Learn everything you need to know about successfully running a market! Three Square Market (32M) announced today that on October 27, 2015, the U.S. Patent Office granted 32M a patent on its micromarket and mobile application. This is the culmination of a two-year investment by 32M and is the first of several patents it expects to obtain in the near future. 32M runs over 20% of its micro market transactions through its smart phone application and expects this trend to increase over the next several years. “When we entered this arena, there was no one with a smart phone application yet the demand for apps was extremely high” added COO Patrick McMullan. “Despite significant skepticism from the competition and operators, we rolled this product out and it is now one of the major reasons we have opened over 1,300 stores in less than 3 years. Our app does everything a kiosk does except take cash. You can even check out faster on the app than at the kiosk. Consequently, we filled a significant void and have expanded our app to include several administrative functions such as inventory management, reporting, and other features that provide even greater efficiency to our operators”. The mobile market continues to capture record monthly growth in volumes of transactions in the retail industry. Over 70% of shopping efforts involve some usage of a mobile device whether it be searching for a location, buying on-line, seeking reviews, or other related activities. “In the micro market arena, a mobile device purchase also eliminates other potential service issues” added CFO Tim Westby. “We have over 25 stores that operate with no kiosk at all. These stores have no bill jams or connection issues, let alone kiosk cost. And our operators who offer the mobile app as a supplement to their kiosk, see their per employee sales being higher and they have virtually no customer service challenges”. 32M intends to vigorously protect its intellectual property rights associated with its patent. “We have invested a great deal of time and expense in this process” added Todd Westby. “We brought the mobile app to the market and we intend to protect our competitive advantage”. 32M’s patent can be found under U.S. Patent Number US 9,171,300 B2. The 32M mobile app is free to download and is available for both Android and iPhone. To learn more about Three Square Market, go to www.32Market.com. 32M is a subsidiary of TW Companies, which also owns TurnKey Corrections (www.TurnKeyCorrections.com), a premier technology and service provider to the corrections industry, and American Institutional Supply (www.Amerisup.com), a supplier of products to the corrections, vending, hotel, education, and fitness industries. Have you ever thought why is everything in the grocery store organic these days? Welcome to the new world of food products! Labels like Organic, GMO-Free, Gluten Free, All-Natural are fetching a higher price, and consumers are searching for these items. Forbes, Nancy Gagliardi writes, “Global sales of healthy food products, in fact, are estimated to reach $1 Trillion by 2017, according to Euromonitor.” Gagliardi goes on to describe past food fads such as “Oat Bran” and “Low-Fat,” but describes this trend having long-lasting effects on consumer behavior. The organic movement roots date back to the 1920s, but with the recent dramatic increase in availability it’s clear organics have gone to a new level. Why now? Information. Because of our clear, fast, up-to-the-second (thanks Twitter!) means of gathering information we are a more informed society than ever. What effect does this have on Break Room Markets? Good question! Personally, it means that instead of my very favorite Cherry Coke … most days I would choose a Fruit Punch Simply Juice. What’s the bottom line? Keep your standards, but don’t be afaid to incorporate something new. Survey your consumers and test products with them. Remember today’s consumer is informed, knowledgable and likes to be treated as such. 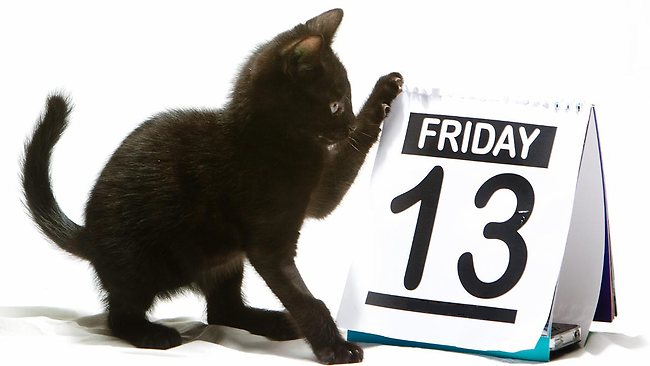 Does Friday the 13th have you worried about your break room market? Let Three Square Market put your mind at ease … We offer solutions, unlike any other provider! Our expert staff can view what’s happening on your kiosks, as well as control it, with our remote kiosk access. If any issues occur, we are able to swoop in and solve them right away – no waiting for staff to travel to your market. Having trouble finding an internet connection? Establish a consistent and reliable network connection to run your kiosk with one of our unbeatable cradle point packages! 32M offers the most complete anti-theft tools – Our theft management approach combines reporting technology with security camera footage to pinpoint inventory discrepancies in the most productive way possible. Don’t cry over spoiled milk – Our innovative technology not only monitors the freshness of the products stocked in your market(s), but provides a quick and easy way to keep ahead of all expiration dates. 32Market’s software also assists in creating store orders in just minutes vs. hours with other provider’s technology, or lack thereof! Feel lucky every day when you choose Three Square Market for your break room! CLICK HERE to schedule an appointment with our experienced staff and learn more about 32Market’s solutions. Posted on November 13, 2015 Categories MotivationTags #32M, #BreakRoomRehab, #FridayThe13th, 32Market, 32Market.comLeave a comment on It’s Your Lucky Day!